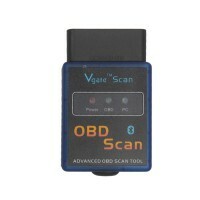 CarDiagTool.co.uk supply you V1.5 Bluetooth ELM327 Scanner. 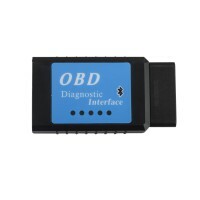 It is the latest PC-based scan tool which supports all OBD-II protocols and dispatched with a number of compatible programs. 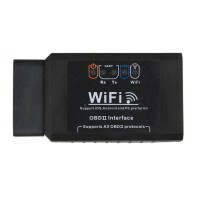 This Bluetooth ELM327 has no cable, it works via bluetooth wirelessly. 1. Software version: V2.1, Hardware: V1.5. 2. Please notice this one can be only used on windows xp computer, can not used on windows 7 computer. 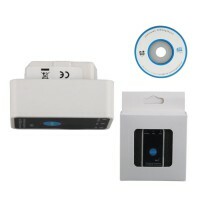 4.The Bluetooth ELM327 has no cable, it works via bluetooth wirelessly. 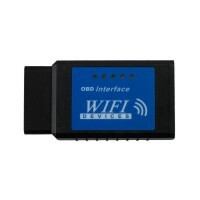 ELM327 bluetooth one works within 3 meters. 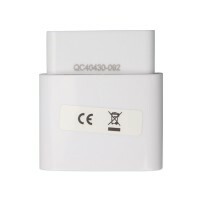 Q: For elm 327, customer cannot connect on any of the com port settings, how do they do? A: If you encounter this case, pls contact us. We will send a file to you for instructions to solve this problem. 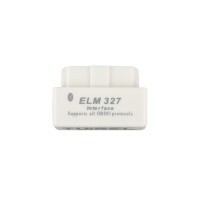 Q: What is the difference among elm327 (plastic) elm327 (metal box) and Bluetooth elm327? Can they update? 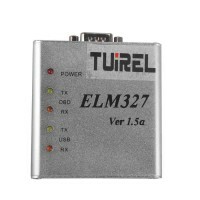 A: For these three kinds of elm 327, they have the same functions. The only difference is the interface. 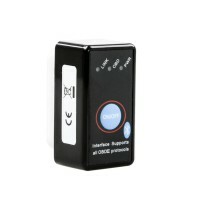 The plastic elm327 just have USB interface; the metal box elm327 has two interfaces: USB interface and COM interface; the Bluetooth one doesn’t have any interface, it works by the Bluetooth. 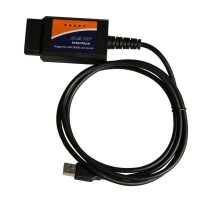 For this elm 327, they all cannot update. Q:Can elm327 do his cars? 1) 1997 GM Saturn 2) 1998 Toyota 4Runner 3) 2000 Dodge caravan. A: The available cars and unavailable cars are all listed in details on our website, you can check it on our website, if you cannot see your car type, and it means it cannot do your car.